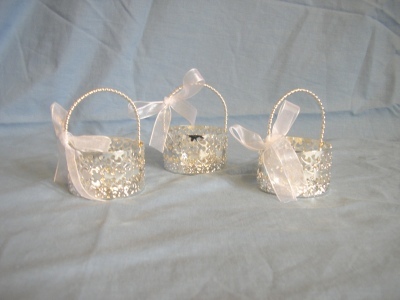 A silver coloured favour basket with a white organza bow. Suitable for chocolate dragees, sugared almonds or any other wedding favour gift. Can also be used for Christenings or other special occaision. Measuring approx 3 inches height x 3 inches width.